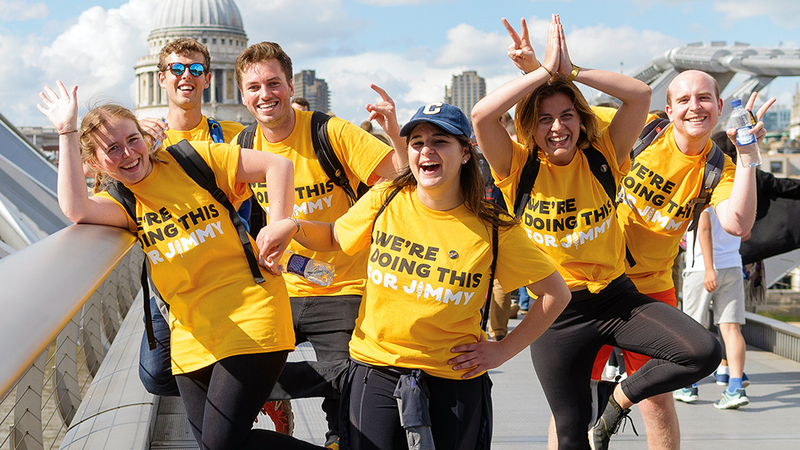 Hundreds of For Jimmy supporters, friends and family members walk across 21 bridges of London from Richmond to Tower Bridge. Join our growing community of supporters, raise awareness and help support our work on making communities safer for children and young adults. Book your place at Walking For Jimmy 2019! If you are unable to do the walk this year but would still like to be involved, why not volunteer? Each year we need 30-40 volunteers to make the walk a success. If you are interested in volunteering on 25th May please register your interest today.